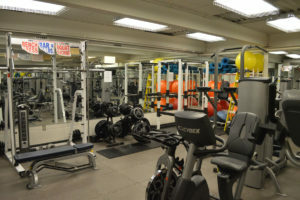 The Goff Fitness Center is available to students in physical education classes as well as intramurals throughout the school year. Funded in part through the Carol M. White Grant, there is various exercise equipment for students to use as they learn about lifelong health and fitness. We encourage all who use the fitness center to be reminded that all of the exercise equipment must be respected. Do your best to return items to there specific locations and above all, clean up after use.